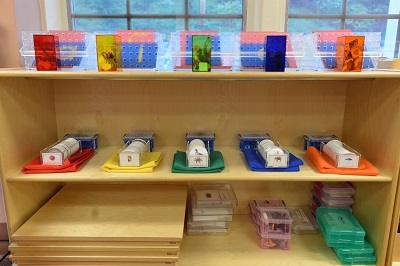 In our Montessori classrooms learning is very individualized and self paced. Children, under the direction of a qualified Montessori teacher, are engaged in a variety of activities designed to develop concentration, attention, coordination, and a logical, ordered and sequential thought process. Each classroom activity is executed from beginning to end with careful attention to the accuracy of sequence and process in six basic and interrelated curriculum areas: Practical Life, Language, Sensorial, Mathematics, Science, and Social Studies. The enrichment program includes Arts, Yoga, Foreign Language (Spanish) and Physical Education.